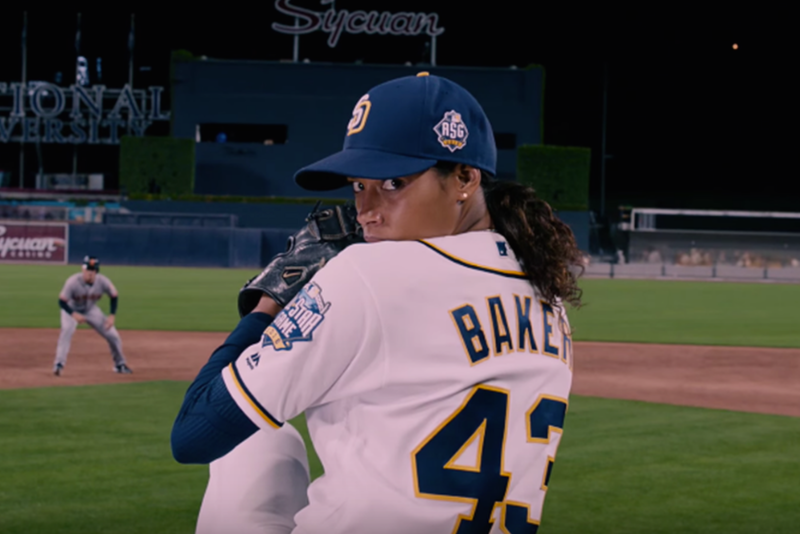 My wife, Holly, and I have become fans of the new Fox one-hour drama Pitch, the fictional story of Ginny Baker, the first woman to play in Major League Baseball. Political agendas aside, Pitch is a gripping drama with great performances from its lead roles. Because it’s airing on Fox and MLB authorized the usage of its assets (including regular appearances from Katie Nolan and Joe Buck, two well-known Fox Sports on-air talents), my cynical side thinks Pitch was greenlit as part of a strategy to inflate flagging public interest in baseball. And I’d bet there’s a segment of the audience that thinks that the idea of a woman becoming a starting pitcher for the San Diego Padres is just as far-fetched as the idea of a unicorn becoming president. For them, Pitch is a harmless distraction of wish fulfillment. But those people underestimate the power of story as an incubator for vision. Watching Pitch, I get the impression that this story could happen. And acknowledging what is possible is an important precursor to moving it into reality. The evidence is not only in the hypothetical but in our shared history. Fifteen years ago, another Fox drama vaulted into prominence—Kiefer Sutherland’s 24. The major issue that surrounded that show was terrorism, but people often forget that co-stars Dennis Haysbert and Penny Johnson Jerald also helped to depict a compelling portrait of a fictional black president and his family—seven years before Barack and Michelle brought that possibility to reality. I say that not to give 24’s producers the credit (or, depending on your politics, the blame) for the Obama presidency, but to suggest that fictional stories can create a vision for what is possible, which is essential for bringing that possibility into reality. I’m convinced that, alongside policy ideas, theological teachings, and prophetic declarations toward justice, we need more stories. We also see something similar in the Old Testament. The prophet Nehemiah is known as the one who rebuilt Jerusalem’s wall, but the run-up to that incredible endeavor was an equally laborious process of lament, followed by some hypothetical brainstorming and vision-casting. As I read through the text of Nehemiah 2, what strikes me about the interaction between the prophet and the king is the way it interrupted their routine. Nehemiah was going about his normal duties when the king noticed his fallen countenance and wanted to know what the problem was. Only in the context of relationship could plans be made for Nehemiah to, contemporarily speaking, take time off work and get the resources he needed to manage his passion project. Like Nehemiah, many of us are now in a prolonged period of longing and lament. The dawn of a new year is supposed to be a harbinger of optimism and progress, but the prolonged trauma of the 2016 election season has left many of us saddened and shell-shocked over the various ideological, racial, and demographic divides that have been painfully laid bare. We know something needs to change, even if we’re unsure of the way forward. I’m convinced that, alongside policy ideas, theological teachings, and prophetic declarations toward justice movements, we need more stories. We need to be viscerally compelled by portrayals of sacrifice, honor, humility, and community that can help move the conversation forward to a greater sense of unity and cooperation. So if the leaders in your church only have models of ministry and leadership that include preachers and administrators but exclude artists and storytellers, your church is missing out. If the young people in your sphere are being funneled toward STEM careers and away from the humanities because of a fear of global instability and the decline of American performance metrics, then maybe those young folks are missing out. And if we want to offer the next generation a vision where the church can offer a viable path forward to our broader culture, we can’t solely rely on the tools of speeches, statistics, or PowerPoint presentations. Compelling stories must be part of the pitch. Jelani…well said. Stories, imagery, imagination. . .all wonderful tools of the Spirit!! and yet we’ve been so afraid of them for so long…for fear of a loss of “control”! It’s time to “dream dreams, and see visions”! In 1931 Jackie Mitchell, age 17, was signed to play for the Chattanooga Lookouts. Two teams, the Yankees, with legendary Babe Ruth, Lou Gehrig and Tony Lazzeri, and The Chattanooga Lookouts, played an exhibition game on April 2, 1931. Jackie Mithell pitched for the Lookouts. Babe was furious when Jackie struck him out! Next she struck Lou Gehrig out! After that famous game, baseball commissioner, Kenesaw Mountain Landis, voided Jackie’s contract proclaiming that he was protecting her since baseball was “too strenuous” for a woman. So it can be done! And we need to share these stories!